For people who are unfamiliar with the Yalp Store, it’s basically an open-source store that scrapes the Google Play Store and lets users download apps. 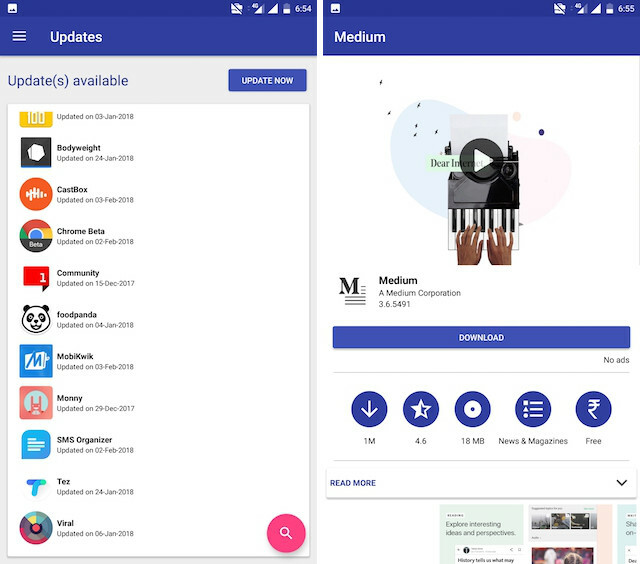 The Yalp Store not only allows users to download apps from Google Play Store as APK files but can also search for updates of installed apps. The store downloads the APK on your Android smartphone’s default downloads folder from where a user can install the APK to use the apps. 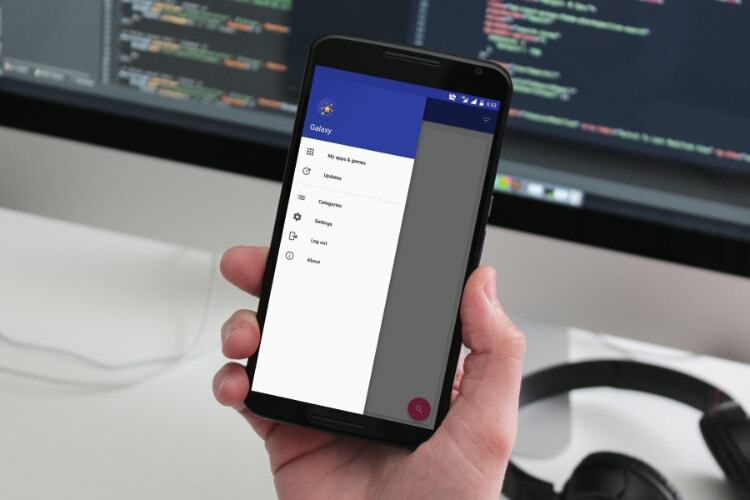 The major reason behind the development of Yalp Store was the fact that Google Play Store along with its Google Services Framework takes too much space on your Android device. So, users with the older devices will find it better to use Yalp Store as it only takes up a fraction of space of the Play Store. Another good reason to use Yalp Store is if you are the kind of user who tries on a lot of different experimental ROMs. However, although Yalp Store is great functionality wise, the store looks like an app designed in the early 2000s. Although there is a good reason behind it (as developers of Yalp Store want it to support devices running on Android 2.0 and above), it means that the user experience of Yalp Store is pretty terrible. That’s where Galaxy comes to user’s rescue. According to a post on XDA, Galaxy is a fork of Yalp Store which incorporates Google’s Material Design philosophy and hence feels more modern and usable. Thus Galaxy is a good for anyone who is looking to use apps on the Play Store without having to go through Google’s services. That said, I would like to inform our readers that Google doesn’t consider Yalp Store or it forks as to be legitimate products, so usage of these apps can result in the termination of your account. You should use these services as per your personal discretion.